Grants will be available for up to 45% of the costs of eligible capital or revenue projects. Grants of up to £100,000 for capital projects and up to £50,000 for revenue projects will be considered. Renewable energy projects cannot be double funded so either a project grant of up to 45% can be applied for, or FITs/RHI can be sought. The assessment will help SMEs establish their best option. The programme is looking to fund larger scale renewable energy projects. 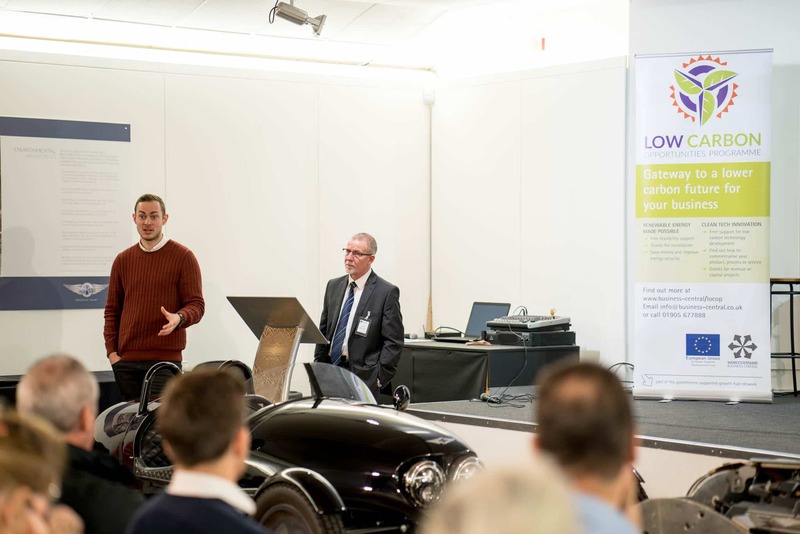 Through the programme, SMEs in Worcestershire will be enabled and encouraged to adopt renewable energy, and to innovate and grow in, or diversify into, the low carbon sector. The programme also looks to establish collaborative links between SMEs and other businesses, and SMEs and research institutions. 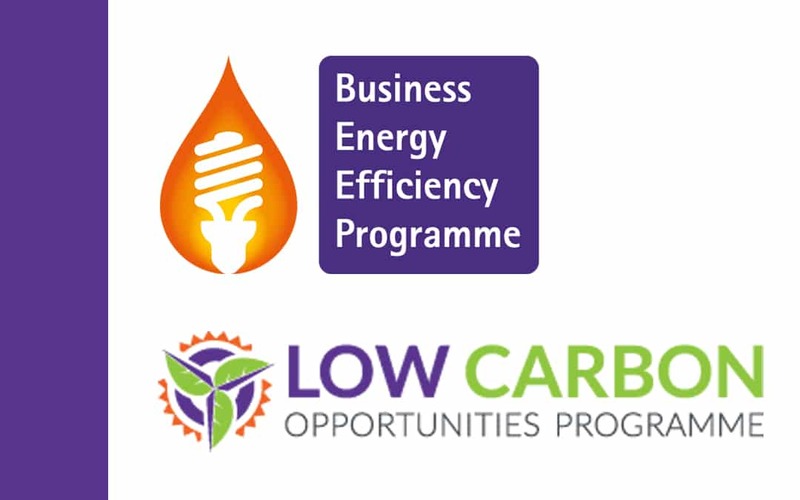 In addition to the free business support and grants towards projects, the Low Carbon Opportunities Programme will include networking and events. -Be situated in and trading from Worcestershire, Herefordshire or Telford & Wrekin. This project is receiving up to £1,194,824 of funding from the England European Regional Development Fund as part of the European Structural and Investment Funds Growth Programme 2014-2020. The Department for Communities and Local Government (and in London the intermediate body Greater London Authority) is the Managing Authority for European Regional Development Fund. Can we apply for support and/or a grant if we are tenants in our building? Yes, you can. We look to see that you have a reasonable length left on your lease (normally around 5 years). We will need to see that you have written permission from the landlord to install the proposed renewable energy project, and that this is in accordance with your lease. Why are you not able to support businesses with small energy bills? 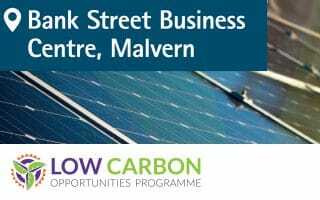 There are other programmes operating in Worcestershire which are set up to supportbusinesses with small energy bills, so the Low Carbon Opportunities Programme looks to support enterprises with significant energy spend. Ask Worcestershire Business Central for more details of the Business Energy Efficiency Programme and the Target2020 programme. Can you support my double glazing/insulation/LED lighting/energy efficiency project? No, this programme covers the installation of systems to generate energy, rather than measures for you to reduce the amount of energy you use. 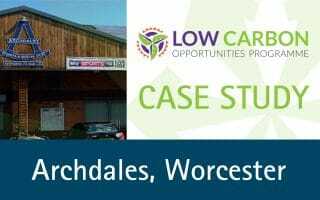 This is because there are other programmes in Worcestershire which can fund energy efficiency measures – the Business Energy Efficiency Programme and the Target2020 programme. What happens when I’ve completed the registration form for the programme? Either Ruth or Don from the programme team will be in touch with you. They will assess the eligibility of your business. As long as the business meets all the criteria (being in Worcestershire, being an SME etc), then they will let you know this. They will then ask Carbon Smart to get in touch with you to start the support. What is the support from Carbon Smart? What does it include? 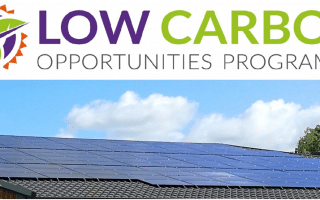 Carbon Smart are independent experts in renewable energy. They will ask to see your energy bills, which will help them to work out when you are using energy and how much. They will conduct a site visit, assessing all the opportunities for renewable energy on your site. They will take into account any preferences which you have for renewable energy systems. 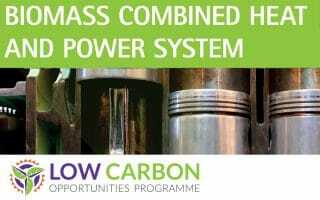 The report which Carbon Smart will then present to you will include full details of their recommendations along with the financial costs and savings available. Why do I have to have the support from Carbon Smart before I can apply for a grant for a renewable energy system? Our procured consultants, Carbon Smart, have been appointed as independent consultants to ensure that businesses receive independent and accurate advice on the opportunities for renewable energy systems at your business. This ensures that you are recommended the best option for you, not the system which a supplier wishes you to buy. It also ensures that the system is sized correctly, ensuring that you do not end up with a system oversized for your needs for example. What’s the minimum size grant we can apply for from this programme? What’s the maximum size grant we can apply for from this programme? The maximum grant amount is currently set at £100k for capital projects (this means a maximum project size of £222,000). If your project is larger than this, then you can of course still apply but we will only be able to fund up to £100,000, rather than 45% of the total cost. What information do we need to provide for a grant application? Your grant application form will have to include all relevant information about your proposed project, estimated costs, individual items which will be purchased, how you will resource the delivery of the project and where the match funding will come from. We also ask you to provide a figure for the carbon emissions which will be saved as a result of the project. This information will be in your Recommendations Report. What activities can I apply for a grant towards? For the Renewable Energy Generation funding, you will be able to apply for the installationof the renewable energy technologies that will both save carbon emissions and reduce your energy usage and costs. All projects are subject to evaluation and approval will depend, amongst other things, on the cost of the project and the carbon savings which will be achieved. How long will I have to wait before I can go ahead with my project? agreement being signed by the business and by WCC. Can I apply to the programme for more than one grant? If you are planning on undertaking more than one project, it is both possible to apply for both projects through one grant application form or apply separately. If you apply for both projects at the same time, this is more likely to mean that the funding is secured for all projects. We may not be able to give a business a second grant, as this will depend on whether the minimum number of businesses has been supported. Who is on the grant appraisal panels? The Grant Appraisal Panel and will be able to independently assess the benefits of your project. The grant appraisal panel member use an agreed scoring system to assess each application, based on your responses within your grant application form. How often does the Grant Appraisal Panel meet? The Grant Appraisal Panel meetings are held every 6 weeks. Am I guaranteed a grant once I’ve had the support and completed a grant application? Once your grant application form is received and assessed, it will then be presented to the independent grant appraisal panel, your application will then be assessed by the panel members and the decision made. We cannot guarantee that projects will be approved, as it depends on many factors, including the remaining monies in the grant funding pot, as well as the carbon savings and size of the grant requested. Find it in Worcestershire website for 10 days, then evaluate the quotes which you receive. Can I claim the grant in parts? The grant payments can be claimed in parts, as long as the claims do not exceed the originally agreed grant amount. We only pay out on defrayed costs, so each claim to WCC must be backed up by an invoice showing your external costs and evidence that this invoice has been paid. Do I have to complete all the activities I specify in my grant application? The grant application approval is based on the activities specified in your application form, however, we recognise that something might change after we’ve given you approval to go ahead. Contact us to discuss if you can no longer complete all the project, need more time or need to change an activity. What happens if we sell the building after we’ve installed renewables on it using a programme grant? grant agreement would not change.